Right now, just 39% of third graders in CMS are reading proficiently, an alarming statistic given that third grade reading proficiency is the most important predictor of high school graduation. 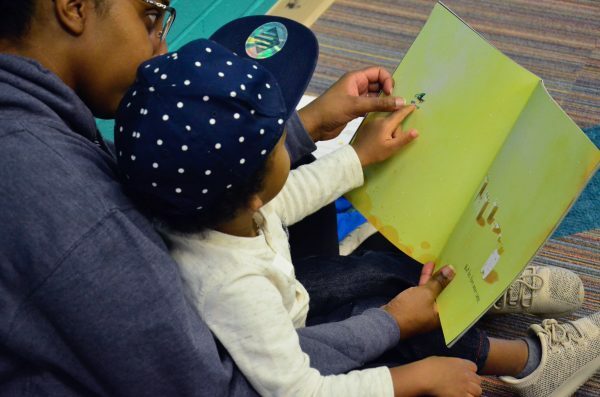 Over one year, Charlotte Mecklenburg Library trained over 1,000 parents, caregivers, reading buddies and non-profit staff on Active Reading, one of the most effective ways to improve literacy. Active Reading has the potential to drastically change literacy outcomes in Charlotte. It embodies the power of reading with children, instead of reading to them. It builds language, vocabulary and comprehension. 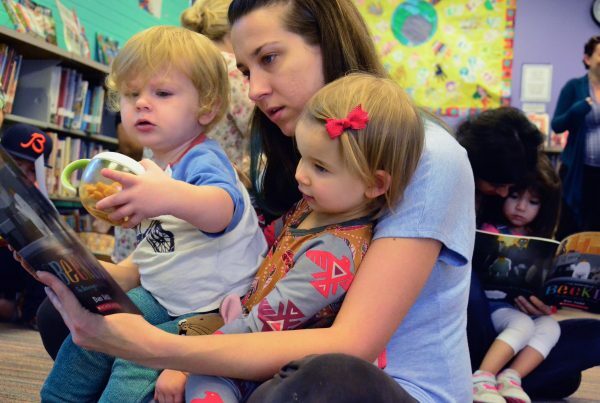 “Simple, yet purposeful strategies make the difference, like asking questions, pointing to illustrations and following the child’s lead,” said Jenna Marotta, Active Reading Training Coordinator at Charlotte Mecklenburg Library. In 2017-18, the Library offered 92 free 4-part Active Reading workshops for parents and caregivers county-wide. The training is especially targeted for families with children ages 2-5, since 90% of a child’s brain develops before age 5. The Library is also offering a 90-minute interactive training session geared towards reading buddies of K-2 students and community volunteers. “Our goal is for Active Reading trainings to meet families where they are. We’re offering them throughout the county, both in the library and in the community, in places like child care centers,” added Marotta. Additionally, the Library’s 9,500+ annual storytime programs have been adapted to demonstrate Active Reading strategies. The partnership between Charlotte Mecklenburg Library and Read Charlotte has been critical to creating Active Reading training. Active Reading is the first of five evidence-based practices that Read Charlotte prioritized to meet the goal of 80% third grade reading proficiency by 2025. In 2017, The Belk Foundation invested $100,000 in the Charlotte Mecklenburg Library for Active Reading training.